At its most basic, creme brulee is a creamy, pudding-like, baked custard with a brittle top of melted sugar that cracks when you gently tap it with a spoon. The custard is made with heavy cream, eggs, sugar, and vanilla. The melted sugar crust will be slightly warm or room temperature when served, but the custard below should be cold. You can dress up a batch of creme brulee by adding caramel or fruit on the bottom, but the classic version is plain vanilla. Part of the joy of eating creme brulee is a study in contrast: You use the edge of your spoon to gently crack the hard sugar surface, in order to expose the creamy custard beneath. You’ll get a little crunchy topping and custard in each bite. Make the custard: Warm the cream, sugar and a vanilla bean in a saucepan. In a bowl, whisk together yolks and some additional sugar. Slowly whisk the warm cream into the yolks, and remove the vanilla bean. This is your custard and the base for the creme brulee. Bake the custard: Divide this custard mixture between several ramekins, place in a hot water bath, and bake until the custard is set, but still jiggly. Chill the custards. Torch the top to caramelize: Just before serving, sprinkle the surface with a little sugar and use a creme brulee torch to caramelize the sugar and form a brittle crust. Now let’s take a deep-dive into the details—and some troubleshooting. As home cooks, we typically encounter problems at one of three stages: tempering the eggs, cooking the custard, or properly brûléeing (torching) the sugar topping. Let’s take a look at each one, as well as ways to make the creme brulee ahead of time, how soon before serving you can brûlée the custard, and a brief discussion on ramekins. When adding the hot cream mixture to the yolks, you need to slowly bring the egg mixture up to the temperature of the cream to prevent the eggs from curdling. This is called tempering. To do this, use a ladle to slowly drizzle one ladle-full of the hot cream into egg mixture while constantly whisking. If you’ve done it correctly, your combined cream and egg mixture will create a smooth liquid base. Some small bits of egg are ok, but if the mixture starts looking like scrambled eggs, you will need to start over. Just go slowly, adding the hot cream gradually, and you’ll be fine. Once all the cream has been added, strain the mixture to remove any small egg particles. Cooking custard is challenging because it can go from perfect to overcooked in the time it takes to wash your hands. To ensure that the custard cooks slowly and evenly, use a bain-marie, which is just a chef’s way of saying “hot water bath.” A hot water bath helps the custards to cook gently and evenly. Six 4-ounce ramekins fit perfectly in a 9×13 baking pan; fill the ramekins with the custard and then place them in the pan. Next, fill the pan with hot water until the water comes about two-thirds of the way up the sides of the ramekins. Boiling water or just-off-the-boil water are both fine; as long as the water is hot and steaming. 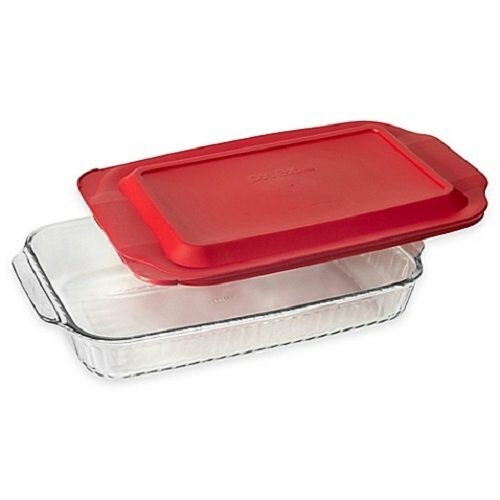 Some people pour the water into the pan on the stovetop then move the whole pan into the oven; others place the pan in the oven then fill it with water. I’m a bit klutzy, so I opt for the oven-fill method, which limits the likelihood that I will splash water into the ramekins and ruin the custard. If you have problems: You can help control the temperature and the consistency of the baking by covering the custard with a baking sheet or aluminum foil with small holes punched in it (to let steam escape). You can also set the ramekins on top of a tea towel in the water bath, which has the added benefit of preventing the ramekins from floating around. If you are having trouble with your creme brulee, you may want to try one of these other methods and see if it helps give you a better result. A perfectly smooth surface when after brûléeing the sugar starts with the custard. After whisking the cream and eggs together, your custard will have a little foam on top. If you don’t skim the foam off the top, once the custard has cooked, all those bubbles will pop and will give your creme brulee a bumpy texture. Skim the foam off the top of the custard after straining it but before pouring it into ramekins. I also find I get a smoother surface when I brûlée the sugar in two batches instead of all at once. It has a uniform wobble or jiggle from edge to edge when you tap the side of the ramekin. If the sides wobble while the center sloshes a bit, it’s not ready. The color should be even and consistent without any brown spots and the top should look glossy. Signs that you’ve over-baked your custards: If the custard has set like Jell-O, that means they have over-baked just a little bit. They will still be delicious, but their texture might be a bit dense and the taste might be slightly eggy. The longer they sit in the fridge the denser they become so consider this a gift from the Gods and eat them sooner rather than later. If the custards have actually begun to rise, then they are truly over-baked and it’s best to toss them and begin again. Once the custard has baked and chilled, it’s time to brûlée the top. This involves sprinkling the surface of the chilled custard with a little sugar and using a creme brulee torch to melt the sugar into a solid, brittle crust. If there’s too much sugar, the crust will start to burn before it melts evenly. Too little, and it will just melt into the custard. I’ve also found that brûléeing the sugar in two steps leads to a more uniform melting of the sugar granules and a nice even caramel color. It also lowers the risk of overheating the sugar as it caramelizes, which can lead to bitter, burnt sugar. Sprinkle the custards with sugar: Sprinkle the surface of each custard evenly with about one teaspoon of granulated sugar. Rotate the custard as you sprinkle to make sure the sugar evenly coats the surface. Torch the top: Ignite your torch. Hold the flame about 4 inches from the surface of the sugar. Using a circular motion, move the flame across the surface. The sugar will at first begin to bead up, and then will eventually solidify into a hard sugar crust. You want to make sure all the sugar granules have melted, and the sugar has at least a tint of caramel color. The longer you torch the surface, the darker it will become and the more bitter the sugar crust will be. Sprinkle with another teaspoon of sugar and repeat brûléeing the top. That’s it! If you don’t have a crème torch, you can brûlée in the oven using the broiler, but it will warm the custard, which goes against the ethos of the dish (warm brûléed topping, cold custard beneath). I would avoid it. You want your custard to be cold when served. Culinary torches are really the best route. They are easy to use, affordable and take up little space in your kitchen. It’s worth the investment. 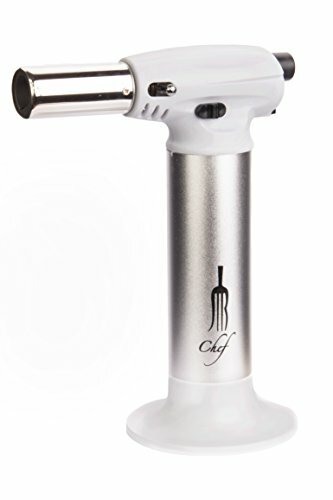 The one I like is this Micro Butane Torch from JB Chef. The uncooked custard can be stored, covered, in the refrigerator for five days before baking it. You can either store it all together in a storage container or you can store it divided into individual ramekins. Once you’ve baked the custards, but before you’ve torched the top, they will keep covered in the refrigerator for 4 days. Once you’ve brûléed the sugar topping, creme brulee is at its best served within 20 minutes. If you wait longer, you risk the sugar absorbing moisture and the brittle top softening. Unfortunately, it doesn’t work well to torch the top again to try crisping it back up. If you’ve waited longer than 20 minutes, all is not lost! The top will still be hard, just not quite as hard as it was, and the brûléed sugar will have a quieter crack when tapped with a spoon. to summarize, unless you are serving the Queen of England, your family will still love the dessert (and you) if you don’t get it on the table in 20 minutes. Typical creme brulee dishes are shallow and wide, like these. This allows for maximum surface area for the crispy sugar shell and a nice ratio of creamy custard to brûléed sugar. I, however, cannot be trusted with a shallow dish in a water bath. 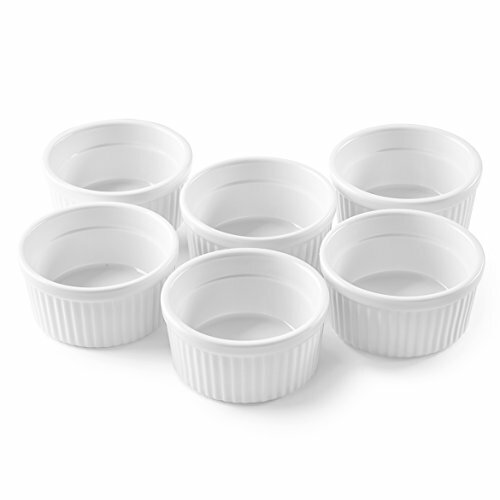 When I make creme brulee, I use taller 4-ounce ramekins, like these. They give me some protection against sloshing water into my custard; plus, they can be used for other dishes like mini-potpies. Six of them fit perfectly in a 9×13 baking pan. Two 9×13 pans fit easily in a home oven, which means I can easily make 12 for a party at one time. Voila! By the way, if you use traditional creme brulee dishes, you may need to reduce your cooking . In pursuit of my ultimate creme brulee recipe, I made ten different variations of basic vanilla crème brûlée. In each one, I varied the amount of sugar, tried vanilla extract verses vanilla beans, switched up the number of eggs, and even tried replacing some of the heavy cream with whole milk. After narrowing it down to three recipes, I had friends come over, sample each one, and give me their feedback. Wouldn’t you know it — everyone picked a different favorite. This led me to believe that—within reason—creme brulee is flexible to your personal taste. If you like it sweeter, then add an extra tablespoon of sugar. If you don’t have a vanilla bean, just substitute extract. If you want a lighter version, then by all means substitute half of the heavy cream with milk. By the way, in my final recipe, I decided that I liked using a combination of whole vanilla bean with a little vanilla extract. It’s fine to use all vanilla extract if you prefer. Finally, I would be remiss if I didn’t mention The Sweet Life: Desserts from Chanterelle by Kate Zuckerman. My kitchen bookshelf has many dog-eared and tattered cookbooks, but this book is one of the most loved. Zuckerman discusses the science behind the sweets we eat—like creme brulee—and provides troubleshooting details that help the moderately Type A detail-obsessed bakers among us. A few of the tips I’m sharing in this post were learned through this brilliant book. We recommend kosher salt for this recipe as it has a better flavor with the cream. Table salt can sometimes give the delicate crème brulee a harsh or metallic flavor. If table salt is all you have, reduce to 1/8 teaspoon. 1 Preheat oven to 325°F with a rack in the middle position. Arrange six 4-ounce ramekins in a 9x13 baking dish and set aside. 2 Prepare the vanilla bean: Split the vanilla bean in half and scrape out the seeds with the dull (non-cutting) side of a paring knife. 3 Warm the cream: In a medium saucepan, combine heavy cream, 4 tablespoons of the sugar, vanilla bean pod, vanilla bean seeds, and salt. Cook over medium heat, until it begins to simmer. 5 Separate the eggs and whisk with sugar: When your cream is almost done infusing, separate your eggs. Place the yolks in a medium-sized mixing bowl; save the whites for another purpose. 6 Temper the yolks and mix with the cream: While whisking the yolks continuously, slowly add one ladle (about 1/4 or 1/3 cup) of hot cream in a thin stream. Do this two or three more times. While whisking, slowly add the remaining cream to the egg mixture, followed by the vanilla extract. Strain the mixture through a fine mesh sieve into a second mixing bowl and discard the vanilla bean pod (this also helps strain out any small bits of egg that may have curdled). At this point, the custard can be cooled and stored for up to 5 days. If you choose to bake them right from the fridge, you will probably need to add a couple of extra minutes. 7 Fill the ramekins: Divide the custard between the ramekins, filling each one just up to the inner rim, or about three-quarters of the way full. 8 Fill the hot water bath: Bring a kettle or pot of water to a boil. Fill the pan with the hot water until the water comes about two-thirds of the way up the side of the ramekins. Avoid splashing water into the custards. 9 Bake the custards: Transfer the pan with the custards to the oven and bake for 38 to 40 minutes. When ready, the crème brûlée should have a uniform jiggle in the middle; when you touch the center, it should spring back just a bit. If the sides hold firm but the center sloshes, they aren’t quite done yet. If they are set like Jell-O, they’ve over-baked, although they will still be delicious! Chill them, brûlée them, eat them, love them and celebrate your efforts. If they have overbaked to the point that they look risen in the center, toss them, start again, and celebrate your efforts! Once removed from the water bath, let each custard rest on the cooling rack for about 15 more minutes, then cover each ramekin with plastic wrap and store in the fridge. Chill for at least 4 hours, or up to 4 days, before serving. 11 Brûlée the custards: When ready to serve, remove the custards from fridge. Sprinkle the surface of each custard evenly with about 1 teaspoon of granulated sugar. Rotate the custard as you sprinkle to make sure the sugar evenly coats the surface. Ignite your torch. Hold the flame about 4 inches from the surface of the sugar. Using a circular motion, move the flame across the surface. The sugar will at first begin to bead up, and then will eventually solidify into a hard sugar crust. You want to make sure all the sugar granules have melted, and the sugar has at least a tint of caramel color. The longer you torch the surface, the darker it will become and the more bitter the sugar crust will be. Each of the custards with an additional teaspoon of sugar and brûlée the surface again. 12 Serve the crème brûlée: Cool for at 2 minutes, and serve within 20 minutes. After about 20 minutes, the sugar will begin to soften, but if it takes you longer to get them to the table, don’t fret. You'll get less of a hard "crack!" when breaking up the surface of the crème brûlée, but it will still be good. To eat, use the edge of your spoon to gently crack the hard sugar surface and scoop up some custard. Be sure to get both the brittle topping and the creamy custard in each bite. Hello! All photos and content are copyright protected. Please do not use our photos without prior written permission. If you wish to republish this recipe, please rewrite the recipe in your own unique words and link back to How to Make Crème Brûlée on Simply Recipes. Thank you! Thank you so much for your detailed step by step instructions! I was always too nervous to make this dessert but once I saw your instructions and tips, I knew I could do it! It turned out perfect. Thank you so much! Hi, Britt! This comment makes my heart so happy! I’m glad the post gave you the confidence to try making it yourself! Thanks for letting me know! Hi, Jen! It looks like it’s back in stock! This said, honestly, any culinary butane torch would work just fine for this recipe (and any recipe calling for a brulee torch). Enjoy! I didn’t use this recipe just yet, but I really have to applaud the depth of technique and detail in this recipe. So much knowledge and areas were covered i feel pretty darn confident in preparing a great creme brulee even for my second time ever making them. Thank you so much for your effort, it is greatly appreciated. Hi, Chad — Thanks for the kind words! I’m glad the details are helpful. I hope your dessert (whenever you get the chance to make it) is fantastic! Thank you for the great tips & recipe. I just made it this afternoon in my pressure cooker and did 1 1/2 times the recipe to make 6 – 7oz portions. I covered each ramekin with foil, put in the bottom rack with 1 1/2 c water and stacked them. I cooked it in my 8 quart Power Pressure Cooker XL on high pressure for 7 minutes, turned off the cooker and did a 10 minute NPR (natural pressure release). I think they are a little sweet for my taste but they were delicious. How much sugar in the yolks? I have made Creme Brulee for years and have had mixed results. Just read this and you will never miss. I use an old recipe from a card that was give out at a restaurant where I always ordered this dessert. For the most part, it worked fine, but the hints above were enlightening. Thank you for the great tutorial on making my favorite dessert! I’m going to try it for my husband on Valentine’s Day. Hi, Michelle — Thanks for letting us know you found it helpful. Happy Valentine’s Day! Thank you thank you thank you for spelling it all out. I’ve wanted to try to make this but have stopped because I was afraid of messing it up. This step by step recipe makes it seem like its something I can try. Hi, Dawn! Emma here, managing editor for Simply Recipes. YES! I think this would be great in the sous vide. I’d follow our recipe, but use their instructions when it comes time to bake the custards (sous vide at 176F for 1 hour). Let us know how it turns out! OK, I tried it and it worked perfectly. The “creme” is a little sweet for my taste, but that is no big deal. The sous vide worked like a dream and the little mason jars looked great. Hi, Mary! I’m so glad you found it helpful! I was passing by your blog today and instantly got pulled in by the creme brulee! A definite favorite of mine. I hate paying a lot for it in restaurants so I’ve dedicated myself to learning to enjoy making it so I can have more than one ramekin. Thanks for the delicious recipe and great instructions! Hi, Megan! I’m so glad you found this post helpful! Enjoy all of your new ramekins!